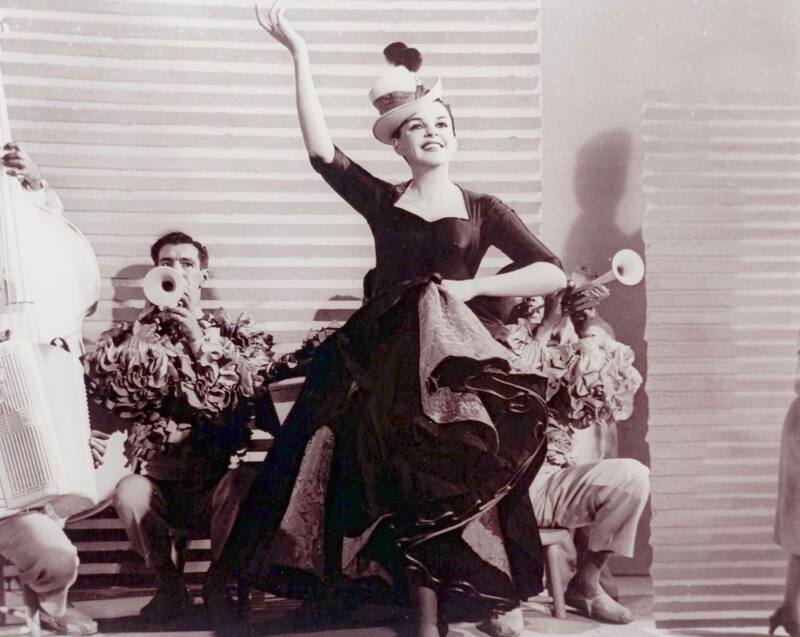 July 28, 1938: Judy pre-recorded “Ten Pins In The Sky” for the film Listen, Darling. She would record a studio version for Decca Records on August 21st. It’s one of the loveliest of her MGM pre-recordings and also one of her loveliest on-screen performances although it never gets much attention. It should. 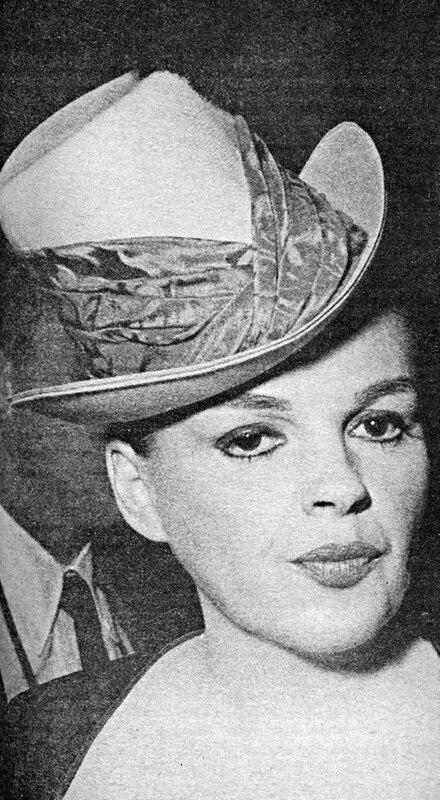 July 28, 1939: Judy recorded “Over The Rainbow”, “The Jitterbug”, “In-Between” and “Sweet Sixteen” for Decca Records. 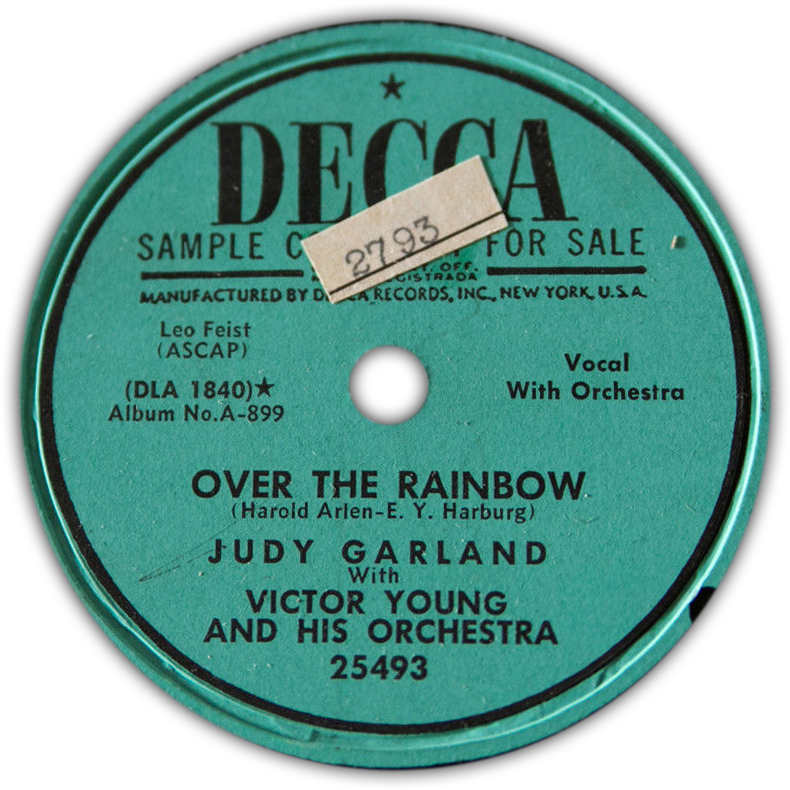 This was the first commercial recording of “Over The Rainbow” recorded by Judy and the first to be released on record to the general public. It was released in September 1939 on Decca single #2672 with “The Jitterbug” on the “B” side and peaked at the #5 spot on the Billboard charts. “In-Between” and “Sweet Sixteen” were released on Decca single #15045 in March 1940. IT’S refreshing to find a girl who is simple, breezy, cheery, natural – and happy in these dark days. 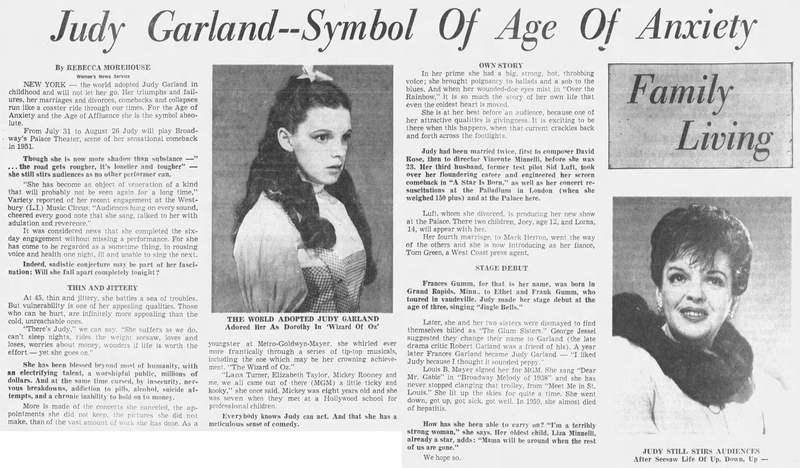 Such a girl is Judy Garland. Judy is growing up. Seventeen, she was just graduated from University High in West Los Angeles and is glad she hasn’t any more studying to do along regular lines. Little Judy, who really isn’t very little, has done plenty of thinking for herself. She is no superficial, on-the-surface young thing. Very early in life she learned to take it on the chin; that’s why she is so grateful for her blessings. It’s a pity everyone can’t know this younger generation of screen stars. They have so much more sense than the one or two generations ahead of them. Out of this set will never emerge those who spend every nickel on show, swimming pools and riotous living. They are hard-working, conscientious, sensible. Of course, they are young; they love a good time; they like to dance, sing, play in bands. They may even enjoy “showing off” at times, but they have a sense of ethics; they live up to a code; they think straight through things, instead of side-stepping them. And, Heaven help them, they are not fooled by the foolishness of the world around them. 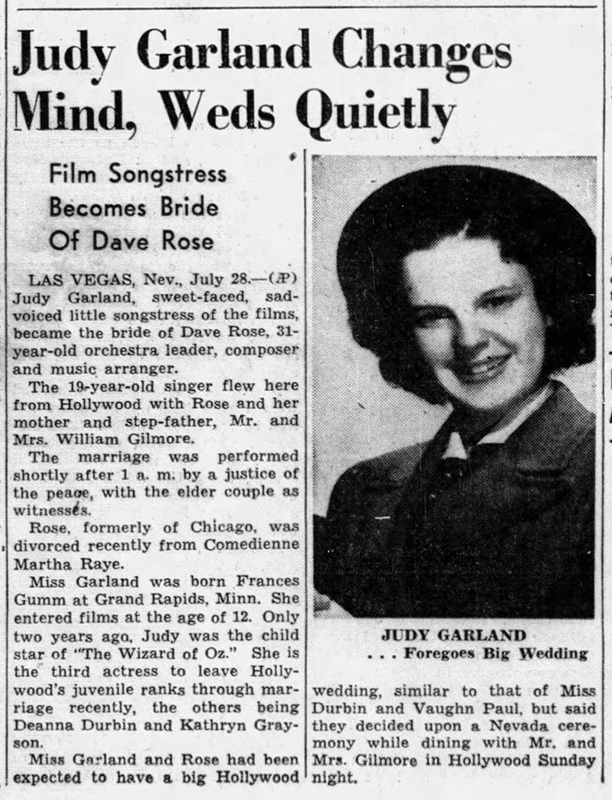 With all her success, Judy Garland doesn’t know a note of music. Well, maybe a note, but she doesn’t know it from having had a teacher. “I couldn’t sing, according to a vocal teacher,” she says ingeniously. “I just sing. Perhaps I should have studied, but I didn’t want to. When I made my first success, I didn’t know one note from another. Right away, they tried to persuade me to go in for a heavy course in vocal training. Judy’s favorite song, to date, is “Over the Rainbow” from “The Wizard of Oz,” which was always her favorite story. She adored Dorothy, in her wildest dreams never imagined herself seeing the Emerald City, the Land of the Munchkins or the Flying Monkeys – in Technicolor. If only all the high school graduates in Judy’s class could have her understanding, sympathy, good sense and discipline! 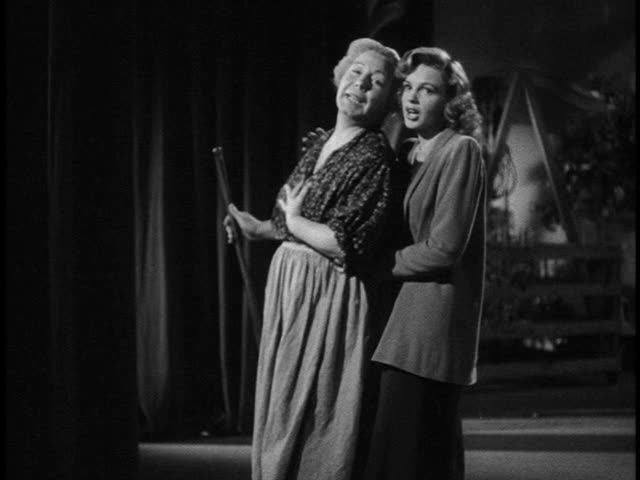 July 28, 1942: Judy pre-recorded “Tom, Tom The Piper’s Son” and “Every Little Movement Has A Meaning of Its Own,” the latter with Mary Kent dubbing for actress Connie Gilchrist for Presenting Lily Mars. Listen to the pre-recording session here – in stereo! 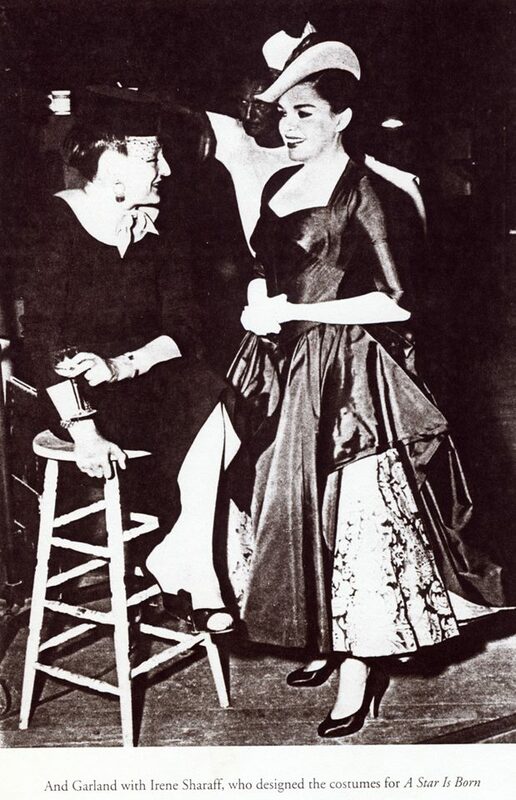 After the take, Ms. Kent is heard saying to Judy “It’s been a great pleasure” to which Judy responds in kind. Take 7 is what is heard here and what was used in the film. No other takes are known to have survived. 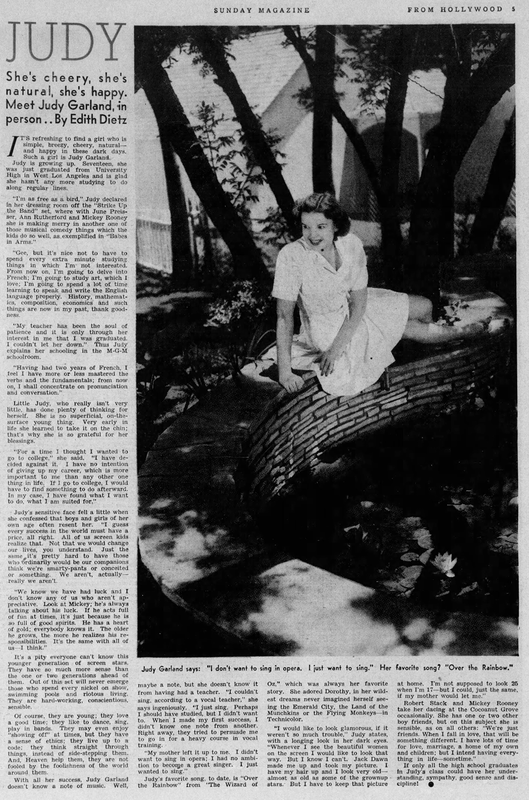 July 28, 1949: This article appeared in the Australian Daily News. Note: Misspelled names are part of the original article. 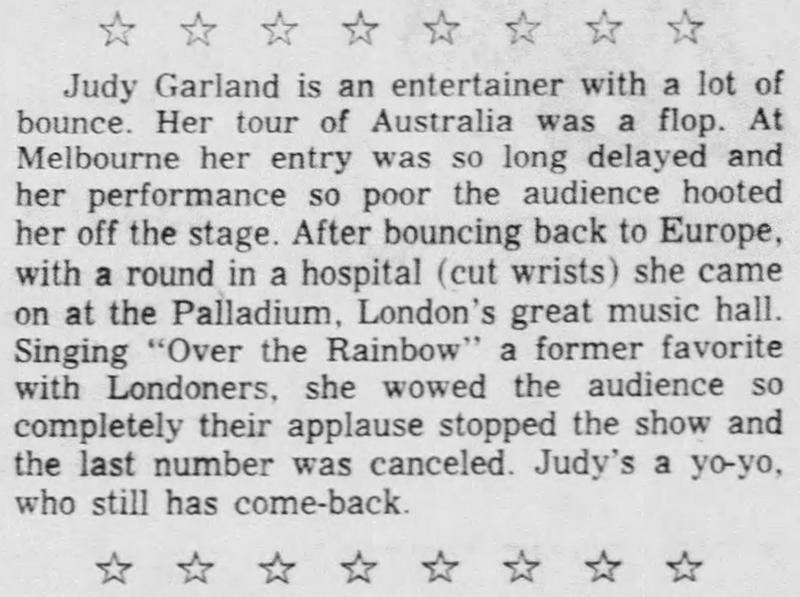 Judy Garland is not only ill; she’s broke. The young star admitted this in a recent interview, confessing she was so hard up that when MGM suspended her that it was forced to give her a weekly allowance so that she could live while out of work. 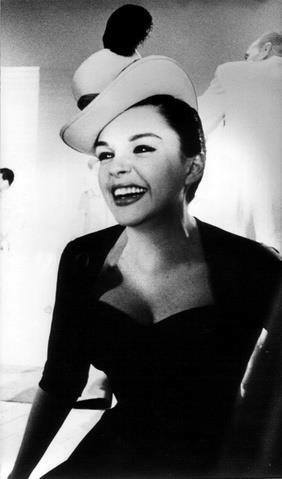 This news has shocked Hollywood, for it is estimated that Judy has earned more than 1,000,000 dollars in the last 13 years. 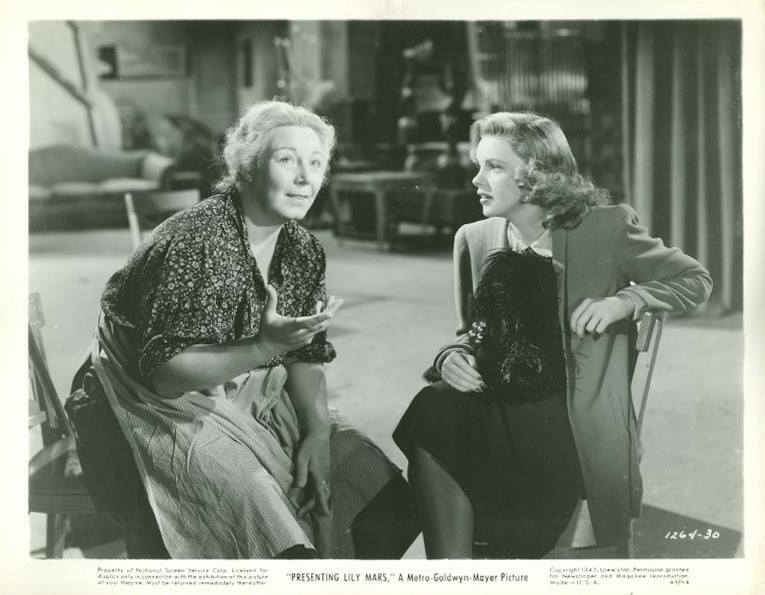 She had been earning about 5000 dollars a week for several years before Metro was finally forced to discipline her for late arrivals on the set. Judy claims she has no money saved. “How can you save in this business?” she asks. She revealed that when she married second husband director Vincente Minelli, from whom she is now separated, she spent more than 70,000 dollars redecorating their home, which he owns. She could have bought a mansion of her own at this price. Now that she’s separated, she is forced to pay 1000 dollars a month rent for a house for herself. Her tiny daughter Lisa, who has appeared with her mother in two films, is living with her father. She has been suffering from insomnia for a long time, and resorted to sleeping pills. These, she says, made her only more nervous and restless. 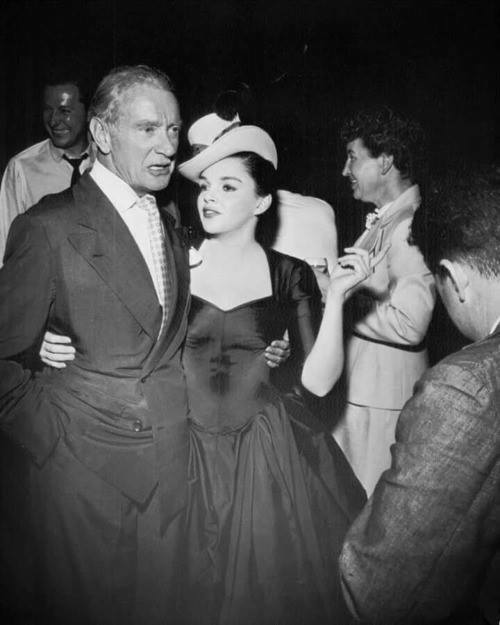 It is the general opinion in Hollywood, however, that Judy is a tragic example of a young star who has listened to too much wrong advice from the wrong people. 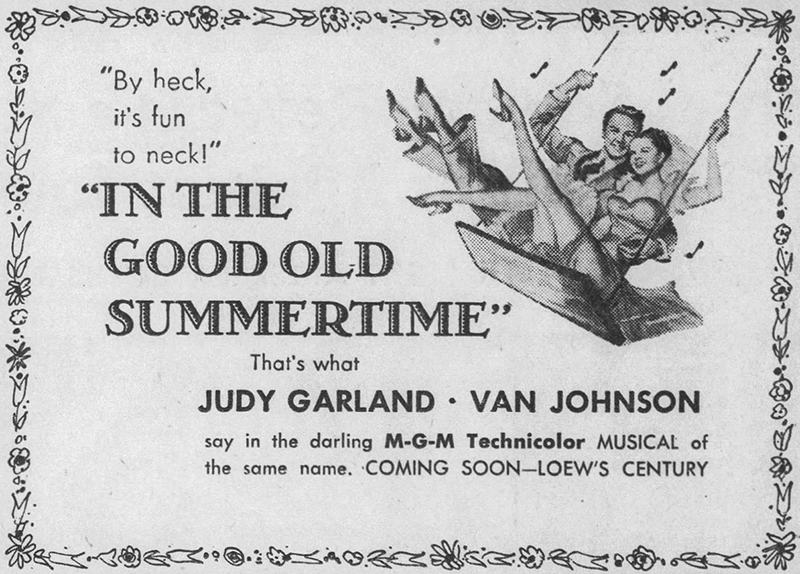 Also on July 28, 1949: This is the date, as is the 29th, that’s listed as the release date for In The Good Old Summertime, however, the newspaper archives tell a different story. 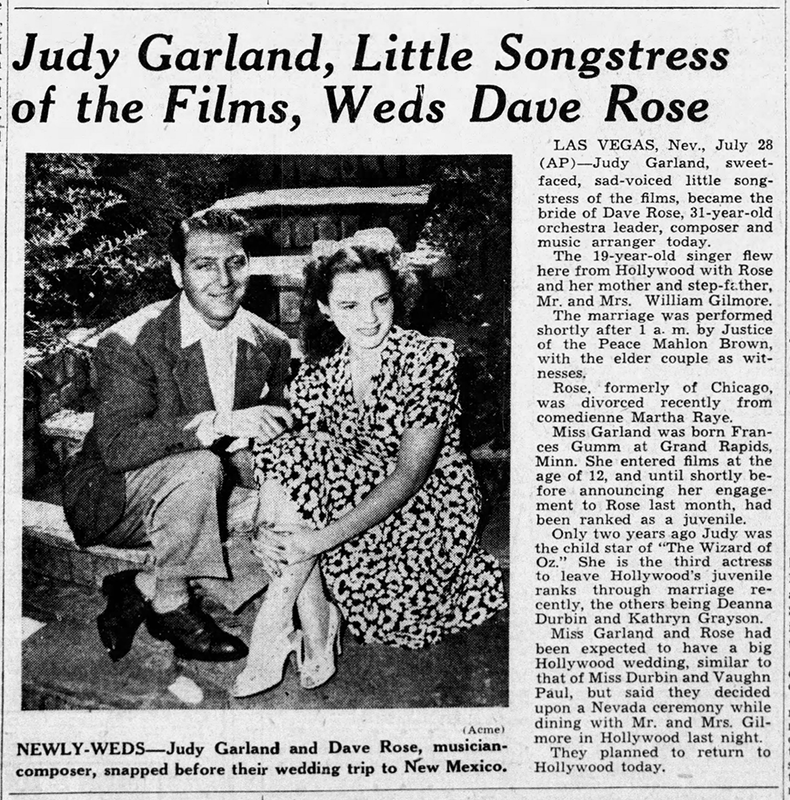 The St. Louis Star & Times notes that the film was already in its second week there while other papers reflect the film opening in most theaters around the country in early August 1949. 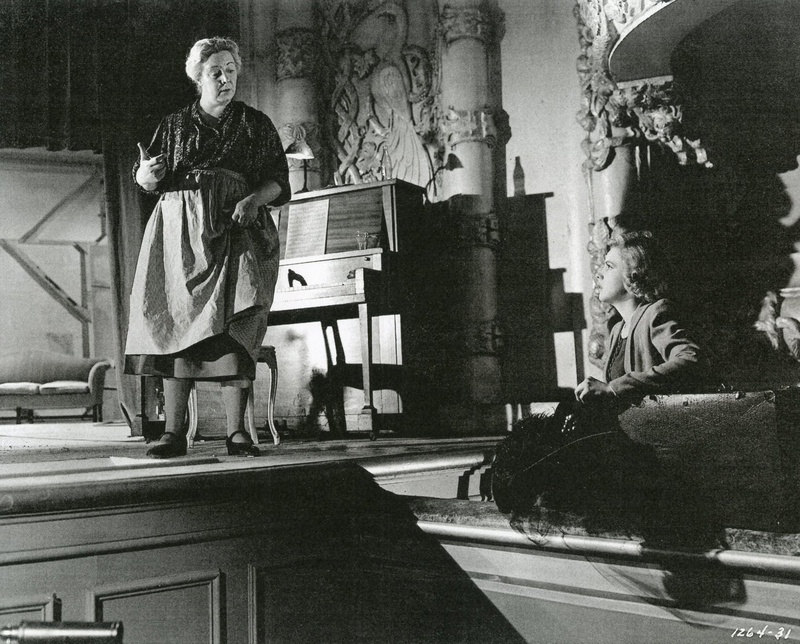 July 28, 1954: The last day of filming the “Born In A Trunk” sequence was also the final day of filming for A Star Is Born. The evening/night shoot was devoted to retakes of “The Peanut Vendor” song on the “Second Nightclub” set. Filming began at 7 p.m. and finished at 2:45 a.m on July 29th. The cast and crew celebrated on set with a wrap party in which several celebrities took part. 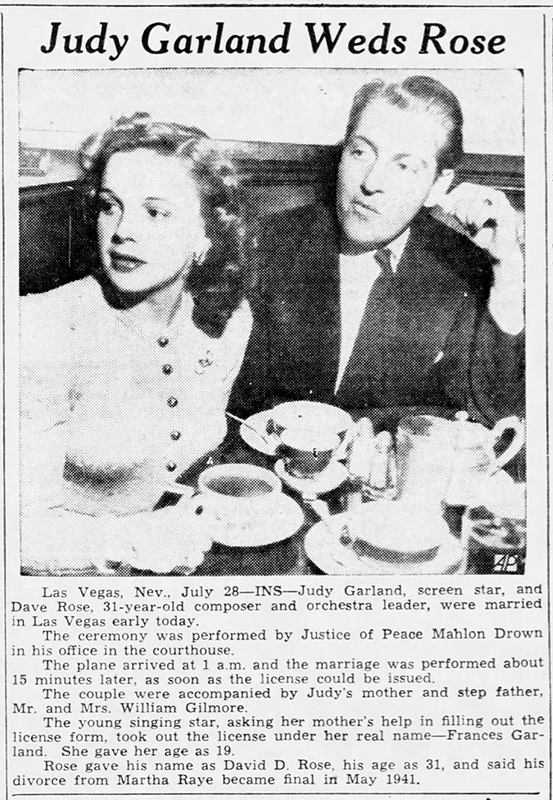 Judy and husband Sid Luft were also celebrating the fact that they had just found out that Judy was four months pregnant. 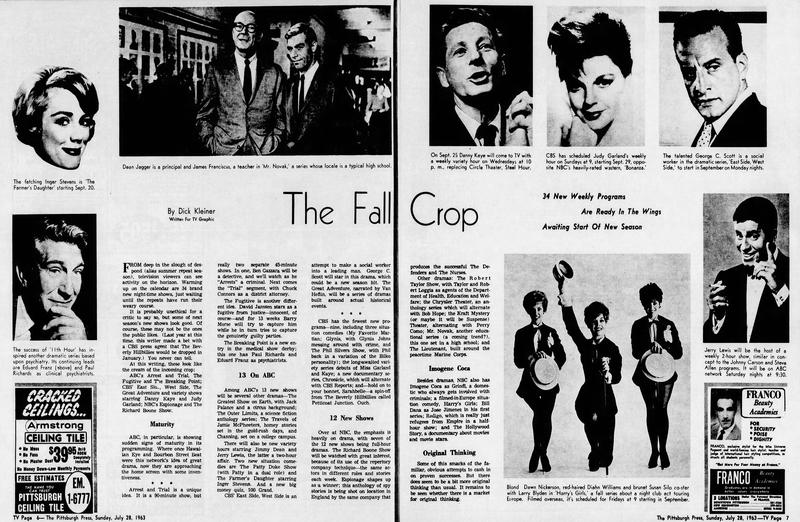 July 28, 1963: The 1963 fall TV lineup included Judy’s first and only foray into series television. 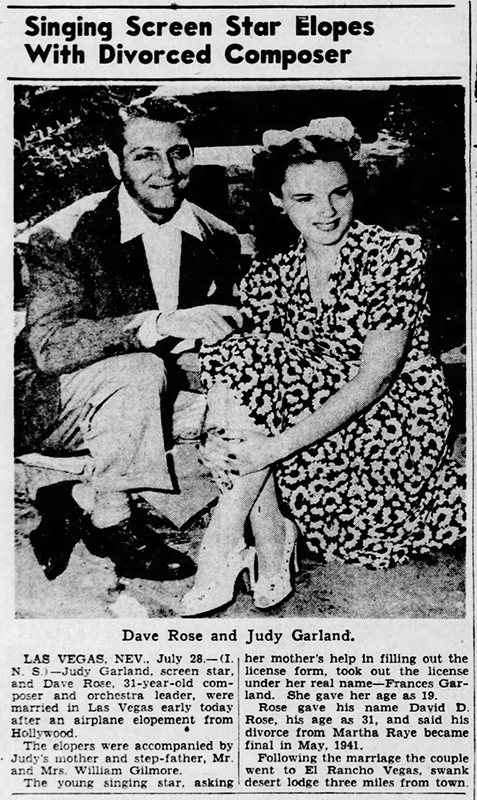 The fact that the great Judy Garland was filming a variety series was big news. 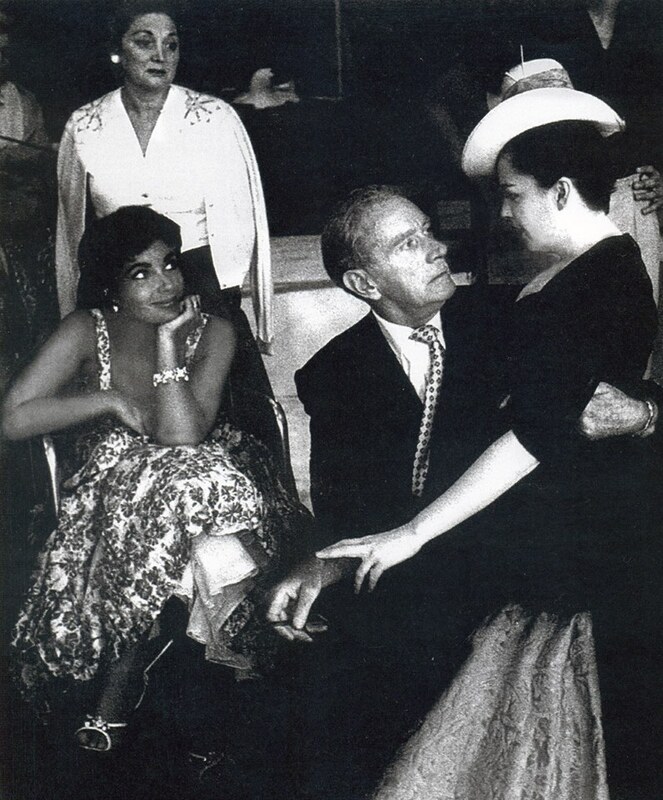 Included here is an article about Judy and daughter Liza Minnelli appearing together on the show. 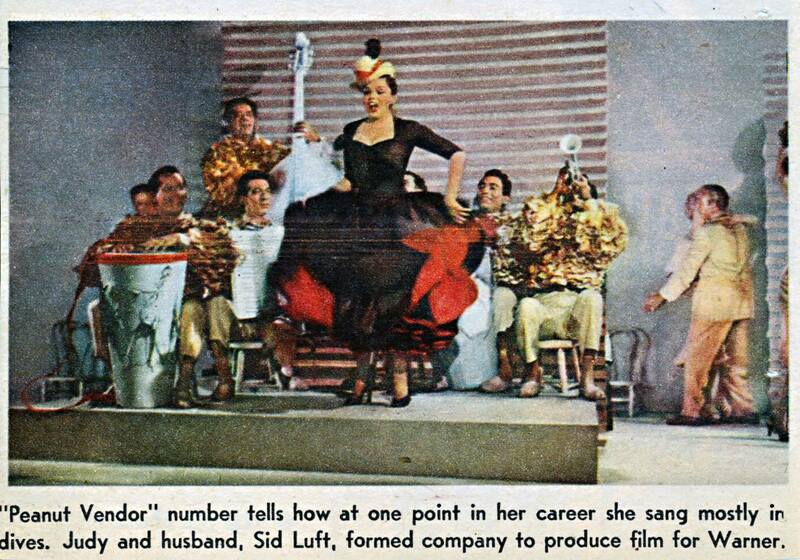 Liza was making quite a name for herself in the entertainment world. 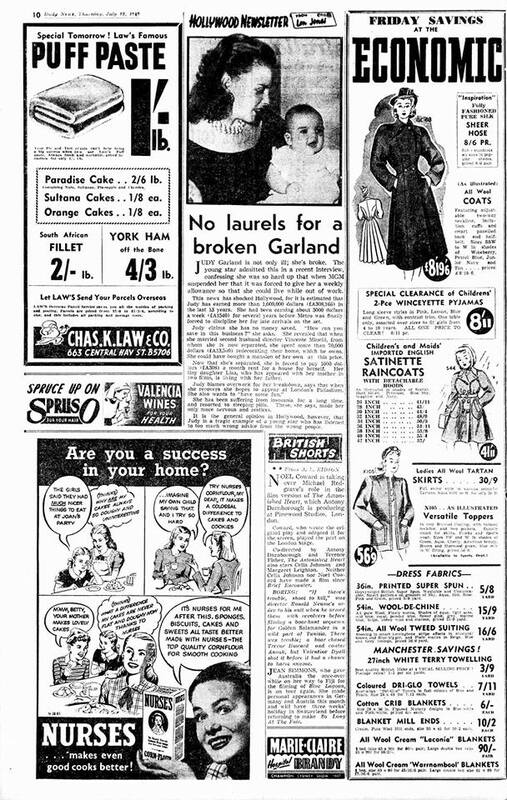 July 28, 1969: Here’s an example of a typical TV listing for a Garland film. Note how the year is incorrect. At this time there was a lot of misinformation out there which is why when books came along with real facts and data fans ate it up. 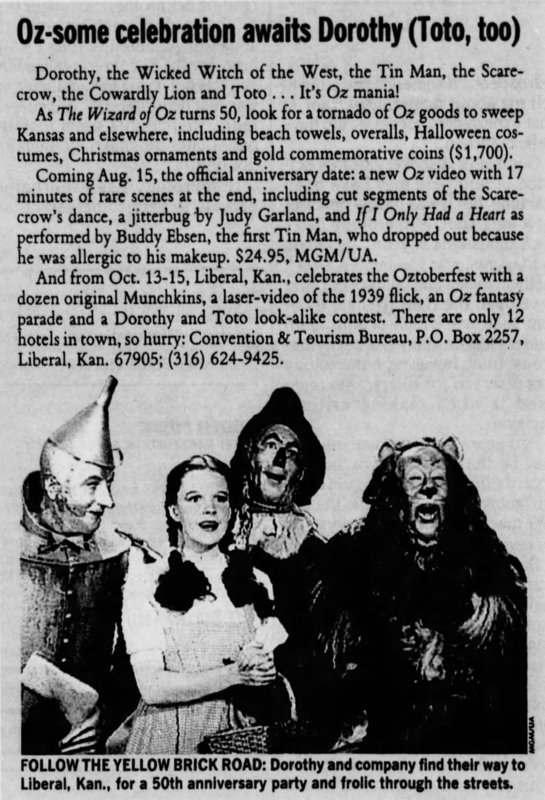 July 28, 1989: The upcoming release of the 50th-anniversary edition of The Wizard of Oz on VHS and laserdisc (released on August 15, 1989) was making news, here’s one small example. July 28, 1999: Ten years later, the 60th anniversary of The Wizard of Oz was being celebrated. 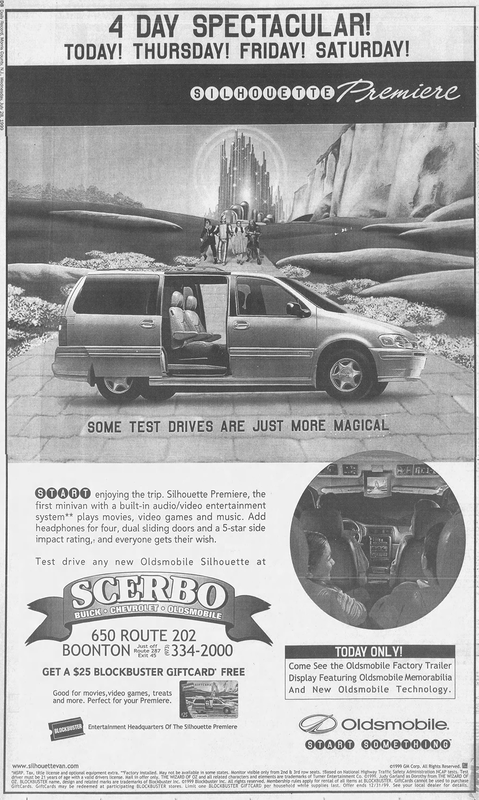 Here’s a double tie-in with Blockbuster video stores and Oldsmobile. 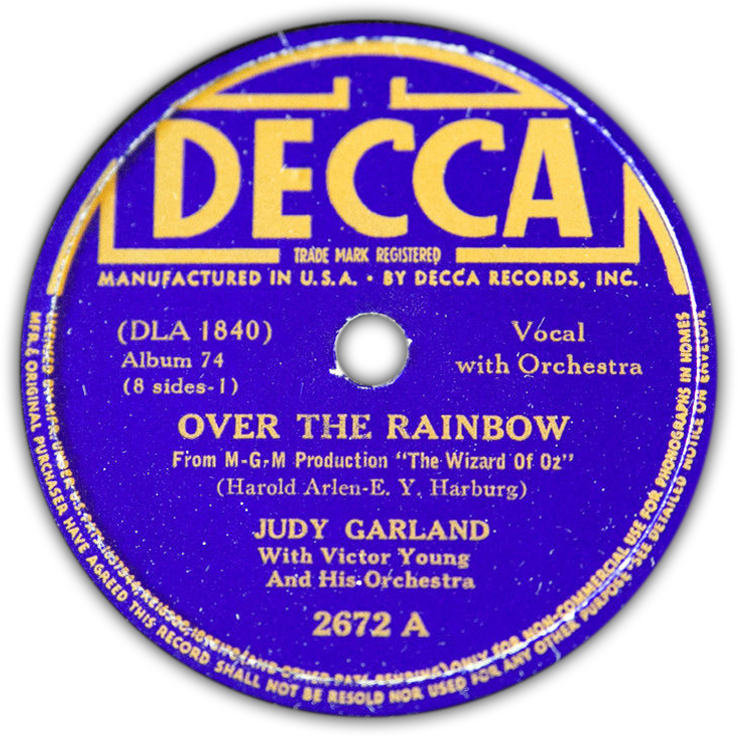 Insofar as “Over the Rainbow” as a 78 rpm single, the first to record it and release it as a single was not Garland, but rather Bea Wain, who recorded it with the Larry Clinton Orchestra. It can be heard here: https://www.youtube.com/watch?v=MxLIFvdnjjM . 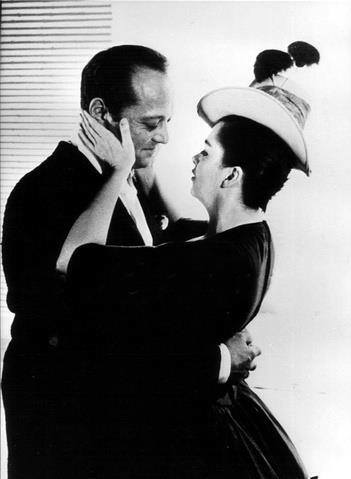 Allegedly MGM prohibited the release of Wain’s single until after the film was released in order to ensure the song was identified with the film and with Judy. I wholeheartedly agree that “Ten Pins in the Sky” is one of Judy’s earliest and most touching recordings/scenes, although (as usually is the case), the Decca version isn’t nearly as moving. 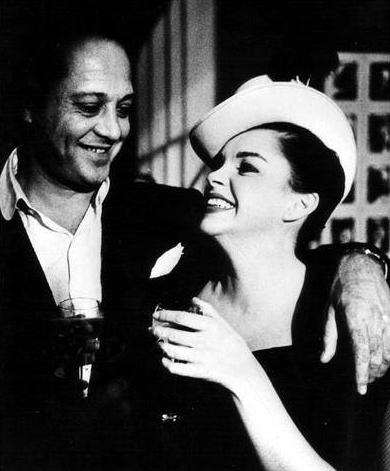 Curious (to me, anyway) how Judy could sometimes be in superior voice at Decca (they recorded in the evenings – HER time), but, emotionally, the film versions of her songs are much stronger. Thank you for sharing this rare treat! The first time I saw the film I was blown away by how amazing her performance of “Ten Pins” is. You’re right, it’s so much better than the Decca version. I think that sometimes Judy was simply tired when she had Decca recording sessions as they were usually in the evenings after a long day of work at the studio.